Veteran vs. Rookie - Who is Best Able to Meet The Enterprise Backup Challenge? New vendors are appearing in the market “solve” all your backup problems. But are these “rookies” really up to the challenge or are they making the situation worse? Title: Veteran vs. 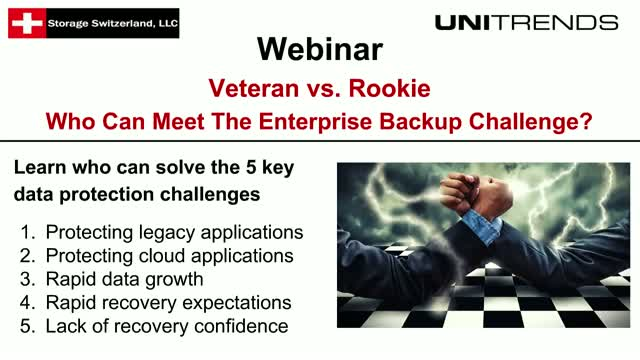 Rookie - Who is Best Able to Meet The Enterprise Backup Challenge?